Inter Milan forward Stefan Jovetic scored an absolutely stunning goal against Real Salt Lake on Wednesday night. The back heel goal was a moment of brilliance, as it also turned out to be the match winning goal. Real Salt Lake opened the scoring in the match with a goal from Jordan Allen. He tapped in a goal off of a Joao Plata corner kick. The Italian side would grab the equalizer in the 42nd minute off of a corner kick. Danilo D’Ambrosio was the goal scorer. His left footed strike was almost kept out on the line, but the pace was too high on the shot and it ended up in the back of the net. Jovetic’s goal would come in the 92nd minute when a ball was played over the top. The Montenegrin then hit the ball with his back heel and surprised the goalkeeper and the defenders as it found its way into the net. 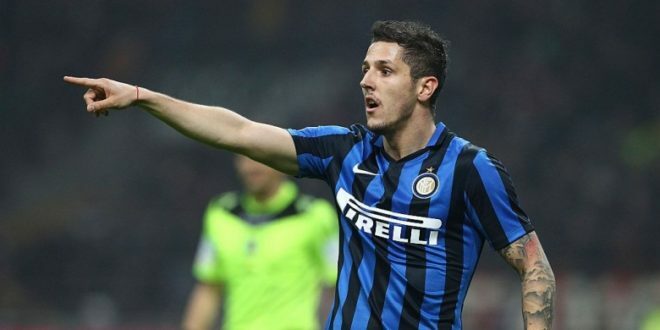 It wasn’t the best match for Inter Milan, but Jovetic’s goal is well worth the watch.